Daily brushing and cleaning between your teeth is important because it removes plaque. If the plaque isn’t removed, it continues to build up, feeding on the food debris left behind and causing tooth decay and gum disease. When you eat food containing sugars and starches, the bacteria in plaque produce acids, which attack tooth enamel. The stickiness of the plaque keeps these acids in contact with teeth. After this happens many times, the tooth enamel can break down forming a hole or cavity. Your dentist or dental hygienist will be able to recommend a toothbrush to you. However, adults should choose a small to medium size brush with soft to medium multi-tufted, round-ended nylon bristles or ‘filaments’. The head should be small enough to get into all parts of the mouth: especially the back of the mouth where cleaning can be difficult. Children need to use smaller brushes but with the same type of filaments. Brushing removes plaque and food particles from the inner, outer and biting surfaces of your teeth. Place the head of your toothbrush against your teeth and angle against the gumline. 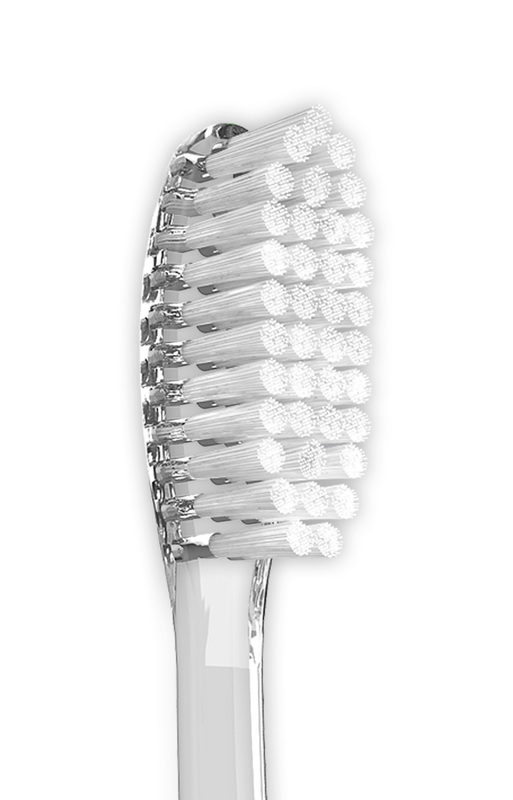 Move the brush in small circular movements, several times, on all the surfaces of each individual tooth. Brush the outer surfaces of each tooth, upper and lower, keeping the bristles angled against the gumline. Brush the chewing surfaces of the teeth. To clean the inside surfaces of the front teeth, tilt the brush vertically and make several small circular strokes with the toe (the front part) of the brush. Brushing your tongue will help freshen your breath and will clean your mouth by removing bacteria. Be sure to brush thoroughly with a fluoride toothpaste at least twice a day, more often if your dentist recommends it. If you keep getting discomfort or bleeding after brushing go to see your dentist about it. Gum disease (gingivitis) will show itself as red, swollen gums that bleed when brushed or flossed. Many people are alarmed when they notice this bleeding and will then brush more gently, if at all. It is important that you continue to clean regularly and firmly in order to fight the condition.